Clarksville, TN – On Friday and Saturday, October 19th and 20th, 2018 artists from around Middle Tennessee and southern Kentucky will arrive in Clarksville to paint the city in the Clarksville-Montgomery County Arts and Heritage Development Council’s 2Rivers Plein Air Paint-Out. They will set up easels all around town to capture Clarksville on canvas and will welcome anyone in their vicinity to ask about their work or share stories about the spaces they are painting. 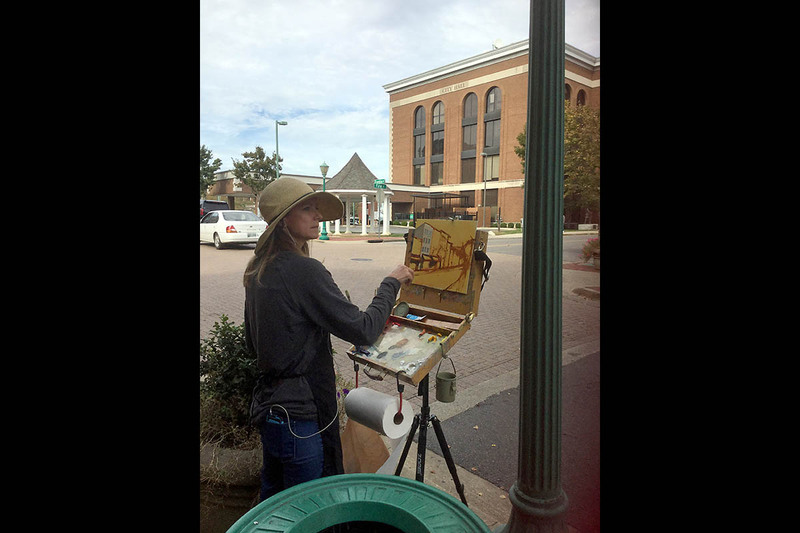 Tiffany Foss on Frank Street during last years 2Rivers Plein Air Paint-Out. Clarksvillians are invited to a reception and exhibition of work produced through the weekend at the Downtown Artists Cooperative, 96 Franklin Street, on Saturday October 20th, from 6:30pm to 8:30pm. They may also purchase fresh, original work featuring scenes of their favorite Clarksville landscapes, painted en plein air. A French expression which means “in the open air,” en plein air painting became popular among 19th century impressionist painters intrigued by the changing patterns of sunlight on a landscape. Today’s plein air artists work in their surroundings, painting what the naked eye sees, without the focusing aid of photographs. The three works judged best by jurors Ken and Melody Shipley will receive cash prizes. The awards ceremony will take place at 7:30pm with a first place award of $500, courtesy of Hand Family Companies; second place of $250.00, courtesy of Planters Bank; and third place of $100, courtesy of Heimansohn Steel & Salvage. Artist Bettye Holte donated prize money for an honorable mention or two. Artists will also have a chance to compete in a one-hour quick-draw contest on Saturday afternoon. 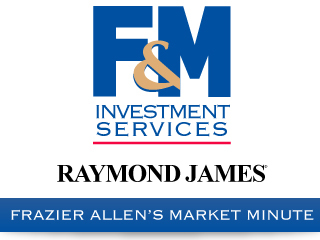 The winner of this contest will receive a $50.00 prize from Planters Bank. Jurors Ken and Melody Shipley’s work has been exhibited regionally, nationally, and internationally. Their ceramics pieces are in numerous collections including the Shanghai Museum, Shanghai, China; Arrowmont School of Art and Crafts, Gatlinburg; and AIT-Vallauris, Vallauris, France. They have taught numerous workshops locally and regionally, including courses every summer since 2006 for Ken and since 2011 for Melody at John C. Campbell Folk School in Brasstown, NC. Other recent exhibitions for the Shipleys include work at the 2011 National Council for Education of the Ceramic Arts in Tampa; 20 Potters/20 Teachers, Rocky Mounty, NC; The Gallery at Rusteberg Hall, University of Texas-Brownsville; Foothills Craft Guild Show, Knoxville; the MIR Gallery and Handmade in the Arcade in Nashville and a solo show at Customs House Museum and Cultural Center. The 2Rivers Plein Air Paint-Out is sponsored by the 2Rivers Painters, Clarksville-Montgomery County Arts and Heritage Development Council, and Downtown Artists Cooperative. For more information, please contact Dr. Ellen Kanervo, executive director, Clarksville-Montgomery County Arts and Heritage Development Council, 931.551.8870.